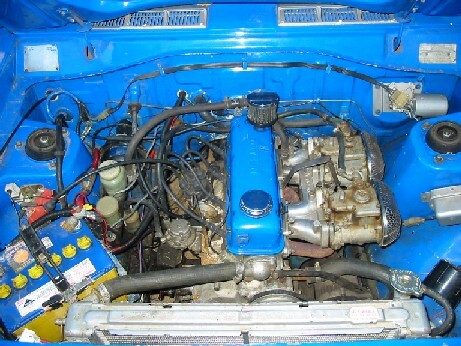 The A14 and A15 engines fit in the 1200 with only minor changes. The A14 and A15 are by far the most popular swapping candidates since the bigger displacement of the A14 and A15 means both more power (peak HP) and more low-speed power (torque) than the A12 engine. Remember: "theres no substitute for cubic inches". The A14 and A15 are by far the most popular swapping candidates since the bigger displacement of the A14 and A15 means both more power (peak HP) and more low-speed power (torque) than the A12, A13 or A12A. As they say, "There is no replacement for displacement". Note that there are 65 HP A14s and A15s too. While less powerful than an A12, they still have more torque so will be an improvement for easy driving. You can identify these by the ID plate in the engine compartment (with HP figures) or by noting if the intake manifold is round-port. Only the oval port engines are 80HP. Additionally, all 1981 and later engines are less than 80HP. The A14 and A15 engines are "tall deck" engines, and are 3/4 inch higher than A12. However, they fit in the 1200 with a change to the exhaust pipe due to the height. This also applies to the 1974 A13 engine. With later 1200s (1974 and newer), newer engines bolt right in. 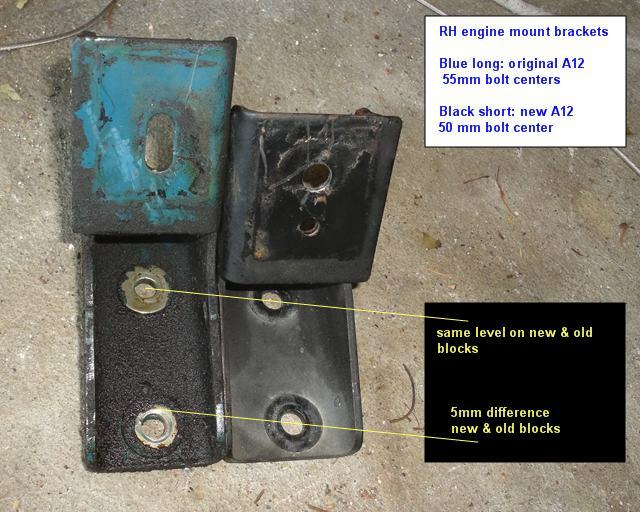 With original 1970-1973 1200s, simple changes to the motor mounts will allow the newer A12, A14 or A15 to fit in. 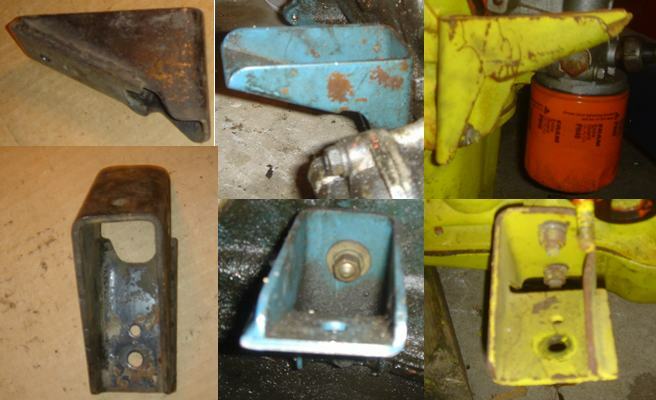 1967-1973 motor mounts vs 1974-up mounts. Simple adapters can be used. Legalities. Some states in Australia have a displacement limit for swaps (eg, more than 20% larger displacement requires certification) In that case, A14 can be swapped into 1200 as it is within 20% more displacement, but A15 requires certification as it has a 20% larger displacement. 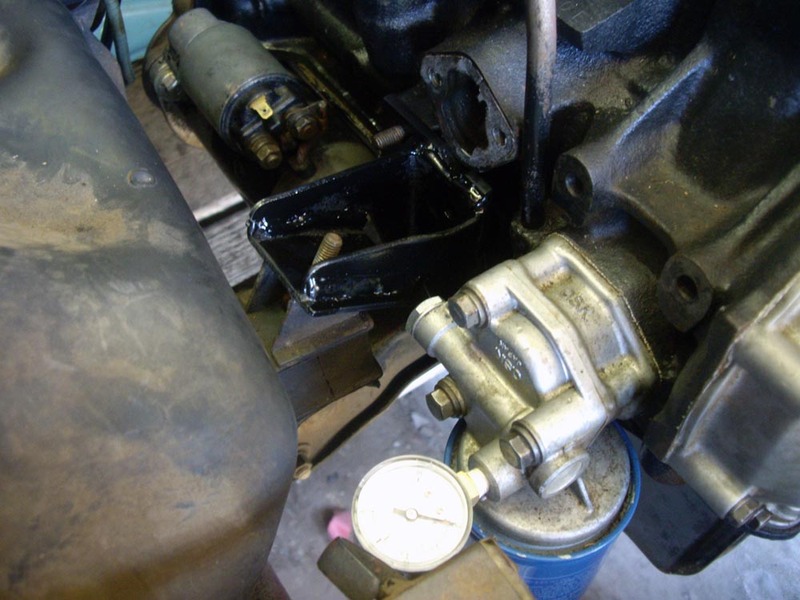 Using the A15 crank/rods/pistons in the A14 block gives you a legal 'A15' swap without needing certification. 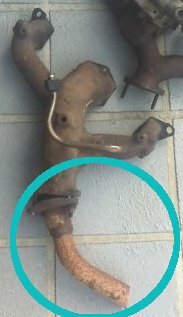 The regular Datsun 1200 uses a 2-bolt exhaust pipe. 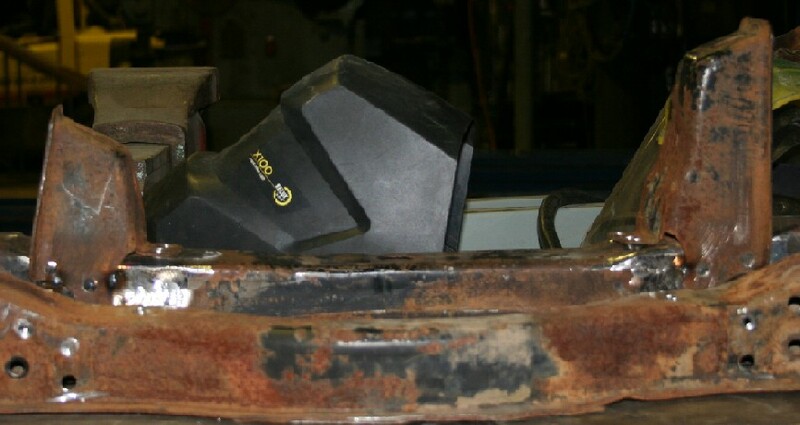 A14/A15 use a 3-bolt exhaust flange. A12GX and A15E use a dual-outlet flange. 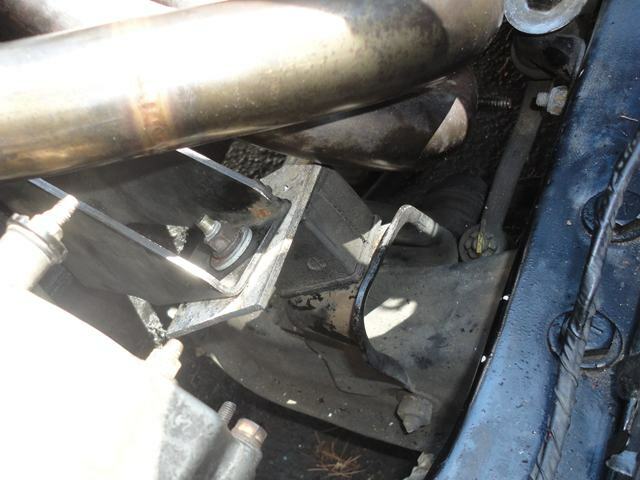 So get a short section of the exhaust pipe, and have it welded to your exhaust system. 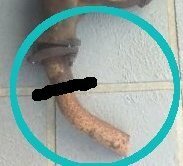 Add 3/4" length so the pipe fits in the same location. 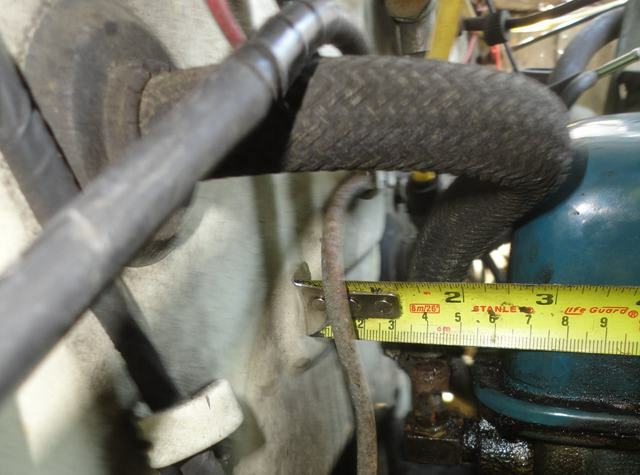 If you don't have the pipe, any exhaust shop can fabricate the correct part. 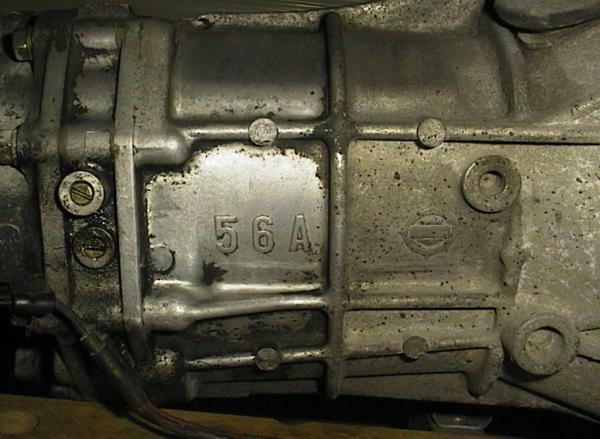 If upgrading a 1970-1972 Datsun 1200 to an A14 or A15, use the stronger 4-speed that comes with the A14 or A15. It is a bolt-in replacement. Be sure to get the matching set: Flywheel, clutch release sleeeve, engine plate and transmission. 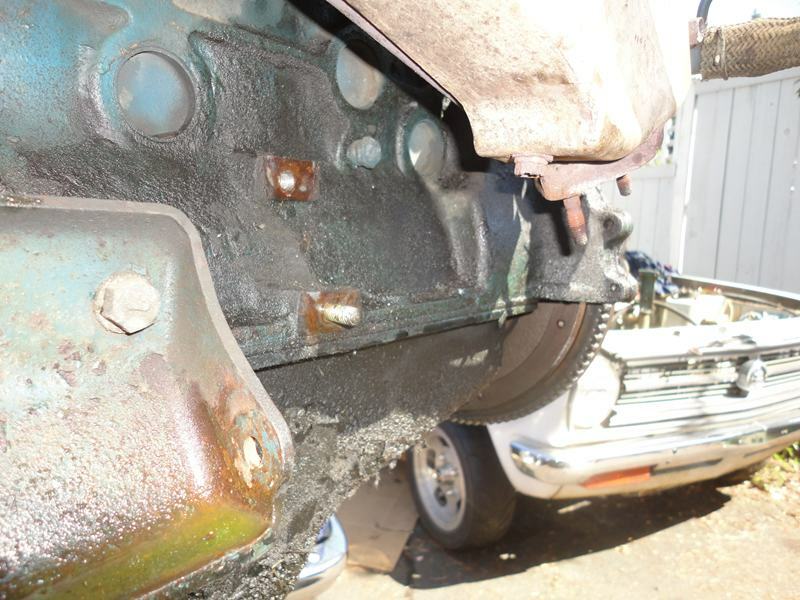 See Gearbox Swap Notes. The early 1200 4-speed will work fine with an A14 if you drive it smoothly. But the A15 has a bit to much torque to be reliable. It may work for a long time, but it may give out. Chipped teeth is the normal problem. If your 1200 already has the 56A 4-speed it is strong enough for an A15. 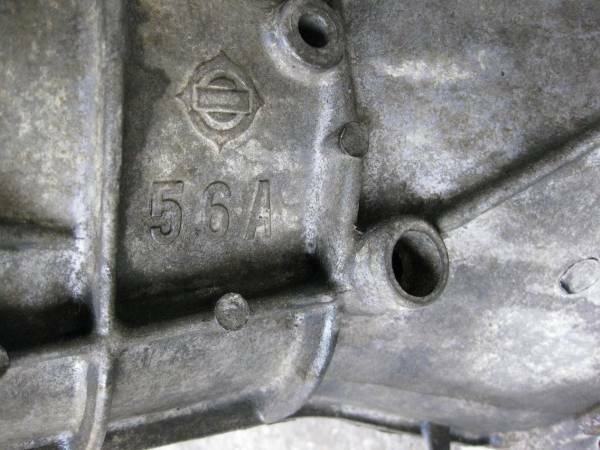 The stock H145 from a Datsun 1200 coupe/sedan/wagon is not rated for the torque of an A14 or A15. It can handle the horsepower, but not the torque. An A14 or low-torque A15 will be OK in front of an H145. A15 after 1981 is low torque. While some club members have had their H145 last behind an A15, many have had it break. It is the ring & pinion gears (CWP) that break, not the axles. For upgrades you can either: 1) Fit an H150 diff center into your 1200 housing. 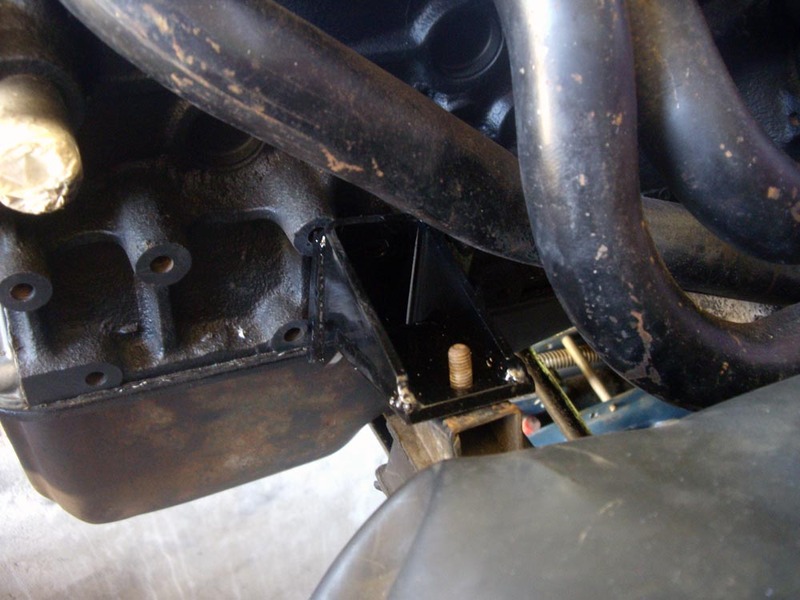 See H150 center swap or 2) Swap an entire rear axle assembly into your 1200. 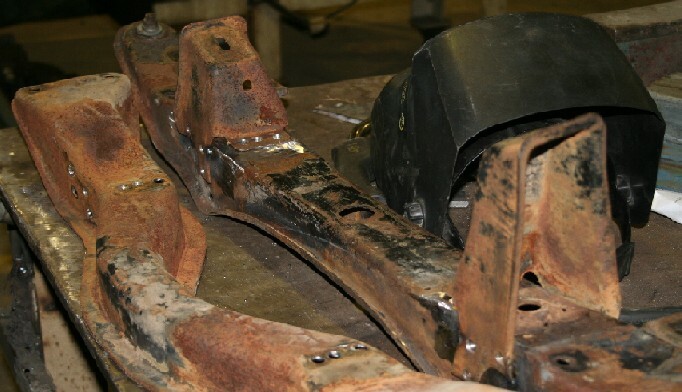 See Rear Axle Swaps. Note that late A12 (1974 and up) use exactly the same mounts as A14/A14. A14/A15 bolts directly into newer 1200 (1974 & newer utes). When fitting to older 1200s, the easiest thing to do is use simple flat plates to adapt the motor. The most elegant way is to swap crossmembers. If you can find the right crossmember. For example: 1975 A12 with 1974-up crossmember. Or 1972 A12 with 1970-1973 crossmember. 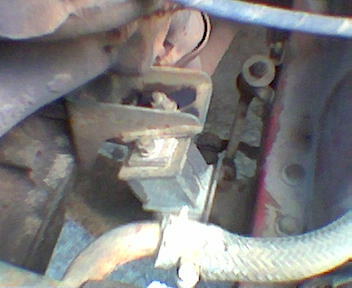 Stock left-side mount in Datsun 1200, but Newer A12 engine. All it needs is a simple flat plate with two holes drilled in it. 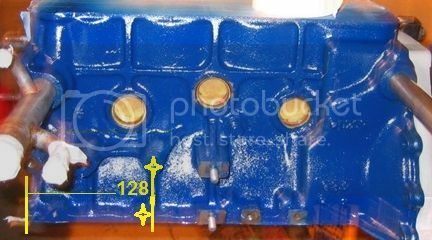 Alternatively, you could 1) use the 1974-up 1200 crossmember or 2) modify the crossmember or 3) modify the engine brackets. Early engines are 1967-1973, and late engines are 1974-up. Swap the crossmember? Swapping crossmembers is fairly easy. There are two bolts on each side, plus the LCA bushing mount. But you don't have to swap crossmembers -- it's just one way of doing it. Perhaps the most elegant way. See Changing Crossmember. 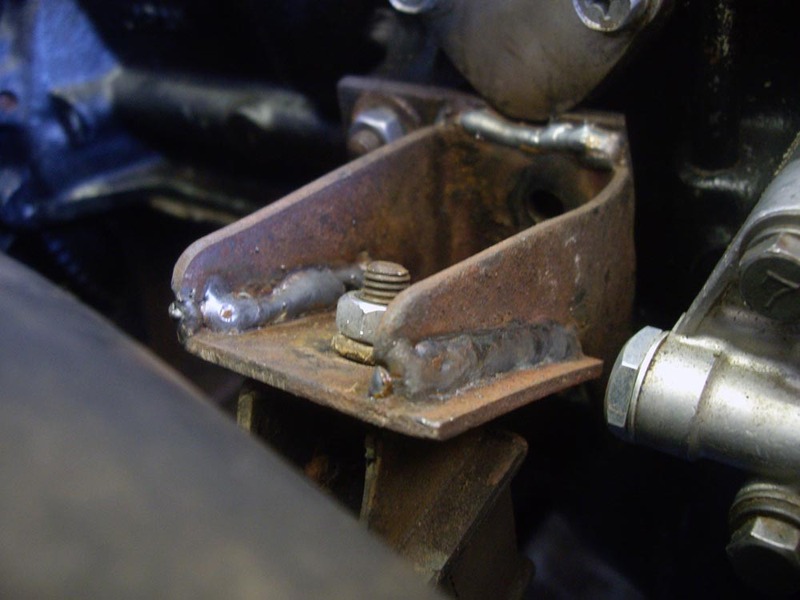 When fitting a 1974-or-newer engine into an orginal Datsun 1200, and using the original crossmber, modifications to the engine mount brackets are needed. There is no need modify the crossmember, although that can be done. 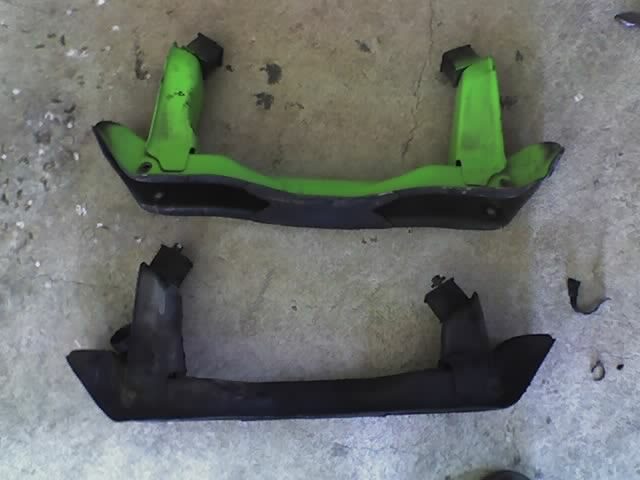 It is easy to modify the brackets. 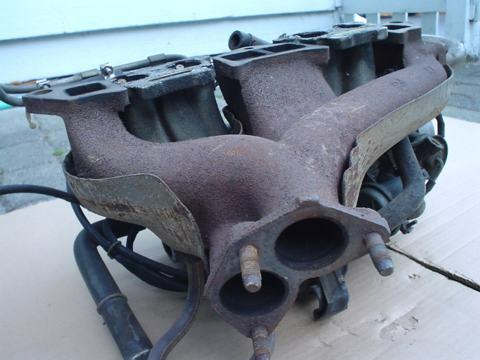 Left Side (manifold side) of A-series engine: change to 1974 and newer blocks: Engine mount bolt bosses were moved back 35mm (1-3/8") on the late blocks. Which is best for this swap? 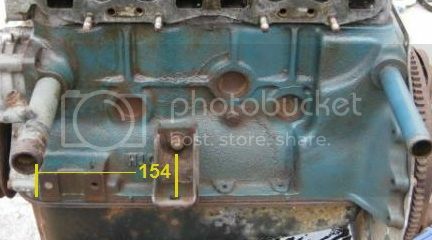 If the engine is centered and the plate holes drilled correctly, it will fit straight as above. 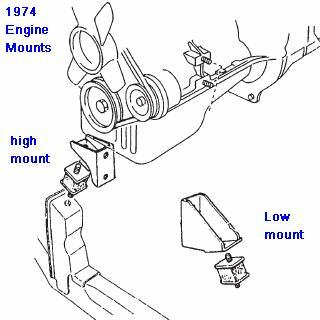 There are three different RH mounts, some allow the engine to sit higher or lower than the others. 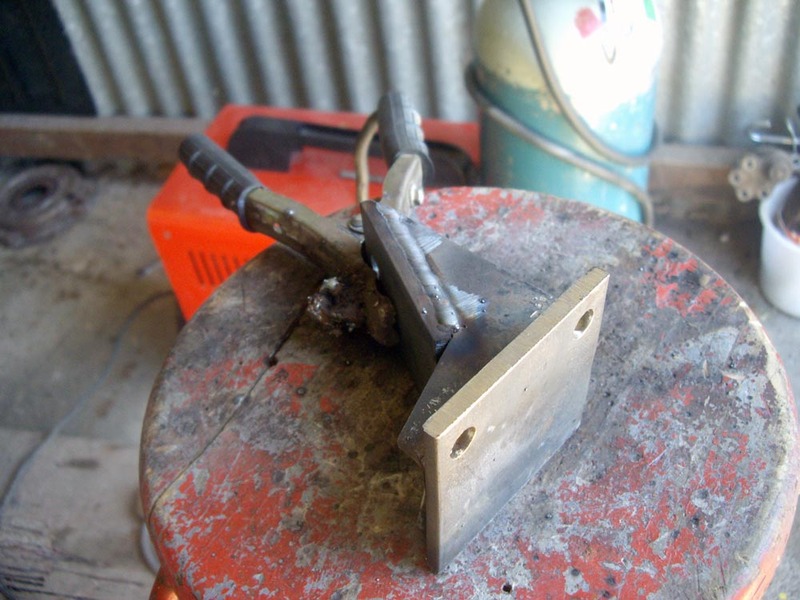 If the mount is now up too high, slot the bolt holes for the engine bracket, and slide the mount up on the block the thickness of the plate, then tighten. This will lower the engine a bit. 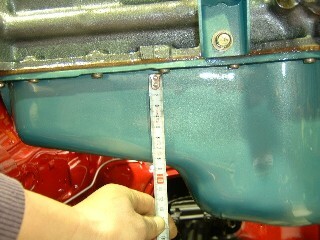 Lower bolt is 5mm higher on new engine, so mounts actually bolt at the same level. Alternatively, you can put the mount on the last accessory boss, which is 26mm (1") farther forward than early blocks. 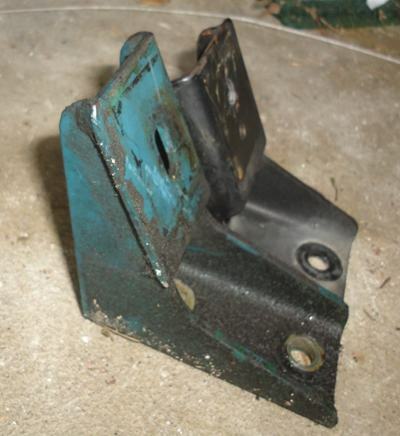 With this choice, you will need to redrill the lower hole on the engine mount bracket, 8mm over. And you will still need to slot the mounts and use a flat plate. Nothing gained, but it takes a little more work this way. Re-drill the lower bracket hole, and re-drill the crossmember horn hole 26mm farther forward (no plate needed). Rubber sits to one side of horn. Aircon cannot be used with this choice, as the bolt boss is for the A/C compressor. 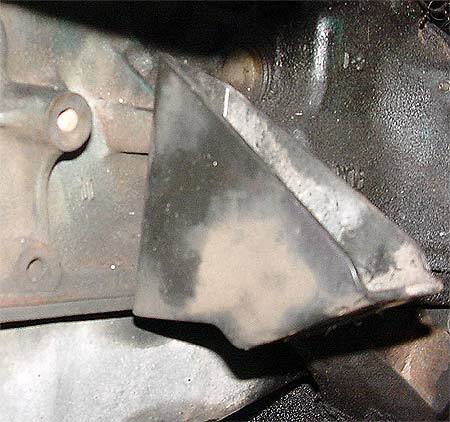 Right side (spark-plug/oil pump/starter side) engine mount bracket is practically the same Late vs Early. 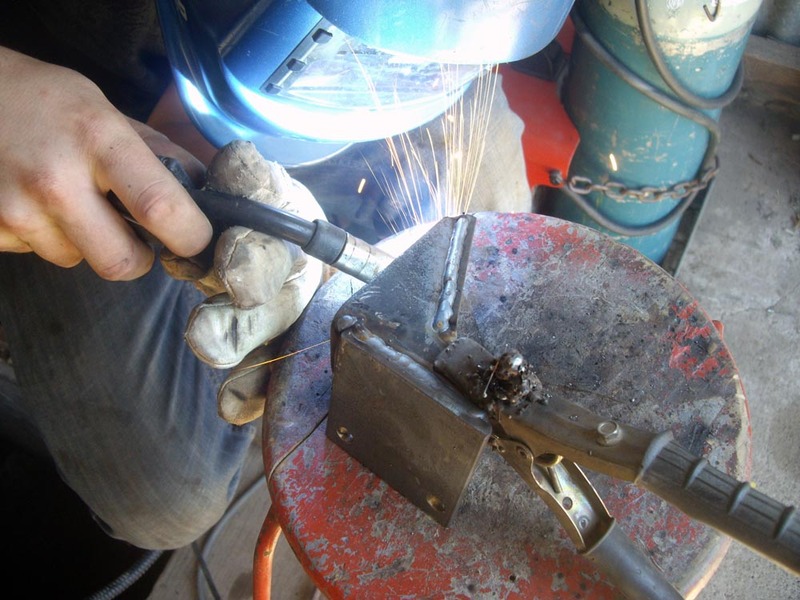 For the cleanest look, instead of using adaper plates, you may cut and re-weld the brackets so they fit just so. 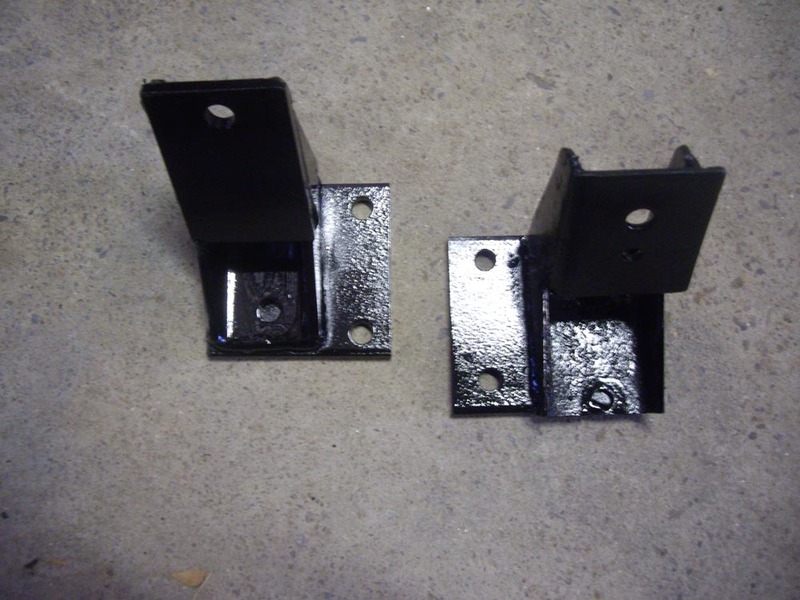 You can fabricate the LH and RH brackets to have the 35mm offset and be a bit lower. 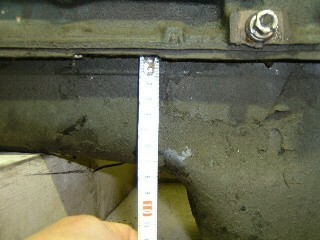 If you use the correct engine bracket it will be very close to level, maybe about 4mm higher. 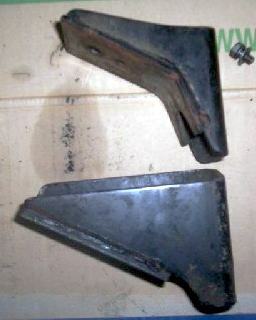 Three different Right Side engine brackets. Which is best for a swap? 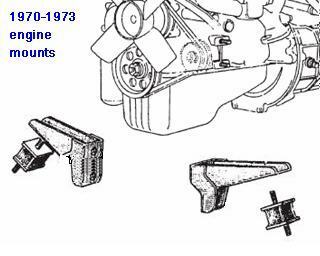 To fit an early (1970-1973) engine into a later 1200, you can either swap crossmembers, OR just use simple adapter plates on each side as explained below. 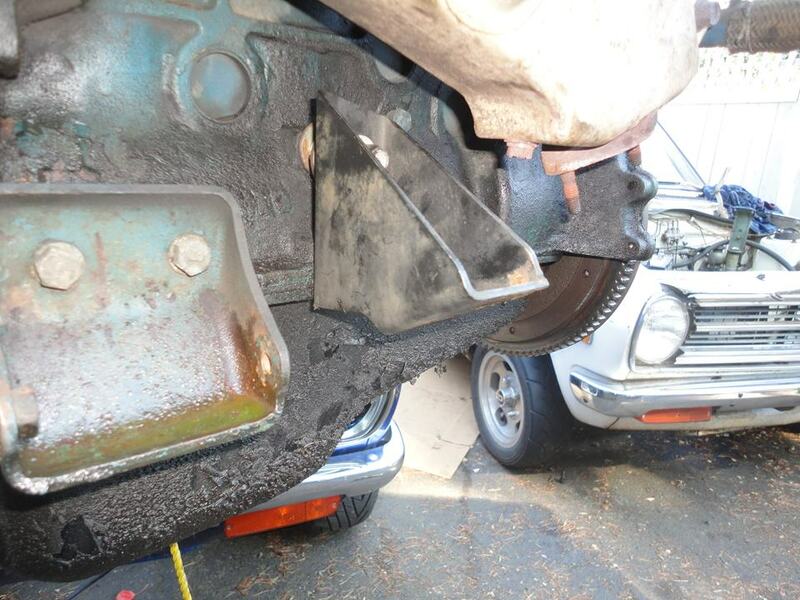 Or use newer engine mounts? 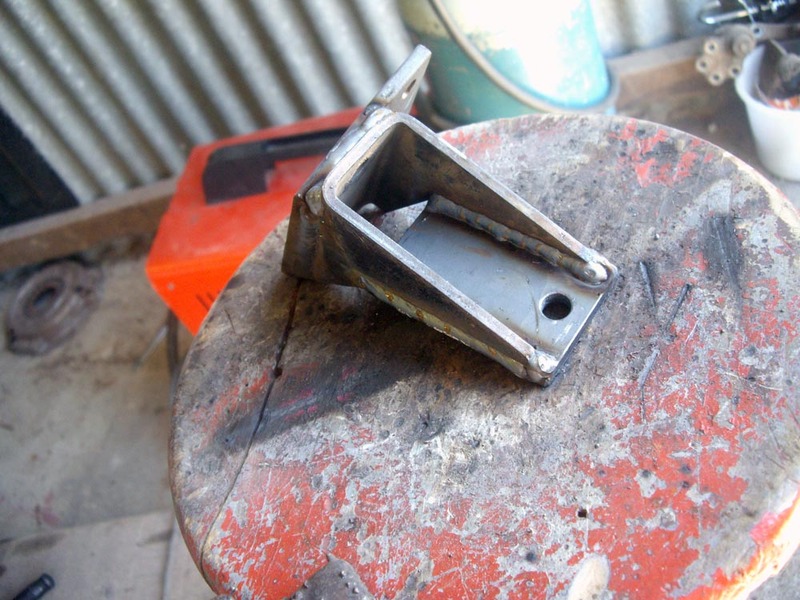 You can modify the engine mount brackets to fit an early A12 engine (GX, anyone?) into your later 1200. 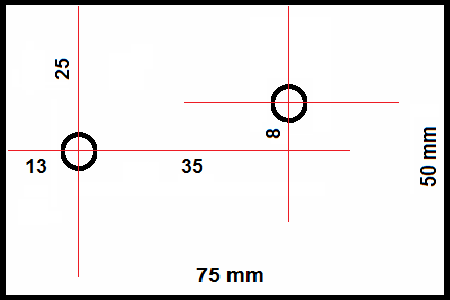 The only trick is to drill a flat plate to bridge the 35mm difference in back-to-front location. 4mm thick plates. 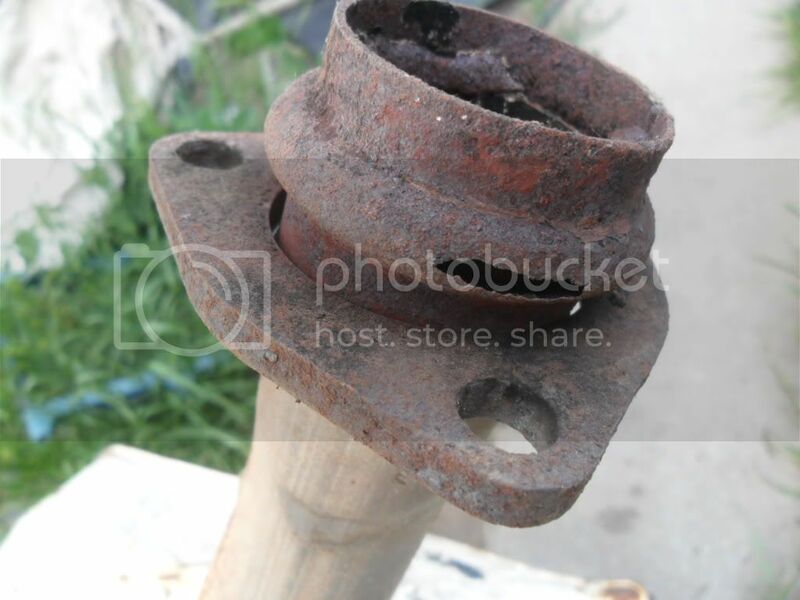 The mount bracket overlaps the insulator so it is partially supported by it -- in other words, it is plenty strong and doesn't stress the rubber insulator. 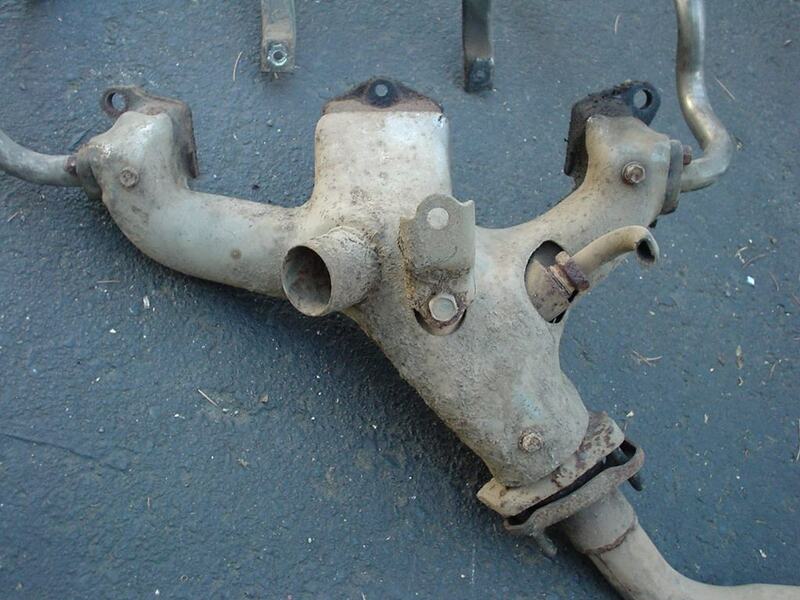 The original A12 RH bracket is very similar to the newer bracket -- but the newer RH bracket doesn't fit the original A12 engine. So use the RH bracket that matches the engine. 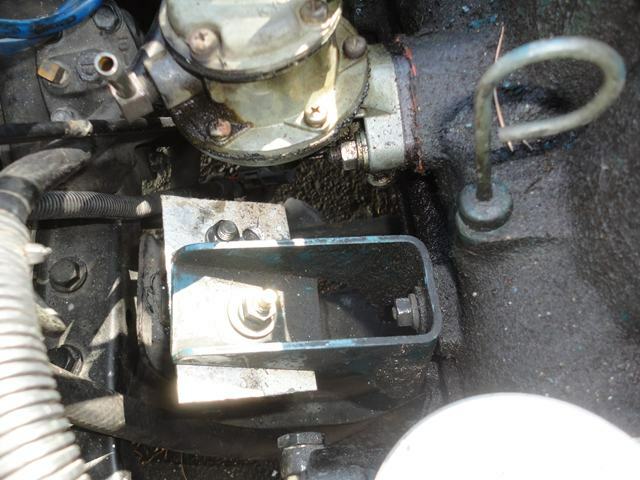 On the LH side, use a LH engine bracket from a late engine. 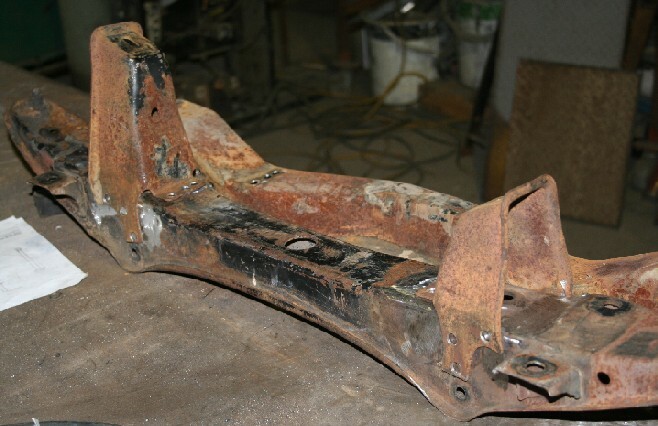 The newer LH bracket will match the newer or older LH crossmember horn. The height is perfect and no adjustment is needed. Old A12 uses stepped bracket (upper boss is set back). 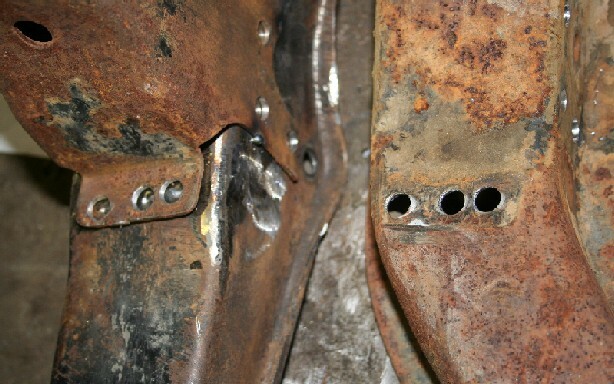 To fit New A12 bracket, remove the stud and use a longer stud, or a bolt. Alternator fits on opposites sides. Late engines have right-side alternator. use extension wires to reach across (Ground, Battery, and FN/LS wires). Be sure to use the same thickness (gauge) wire as original. Newer engine may have an alternator marked S-L. If so, simple wiring mods can be done. 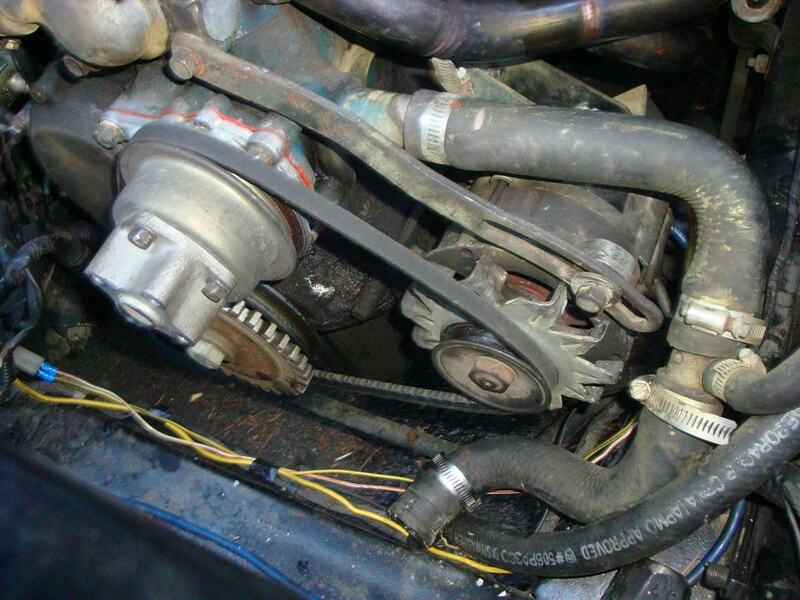 Radiator hoses are different for the original 1200 low-mount alternator. North American B210 came with A14 fitted with mid-sump engine pan. 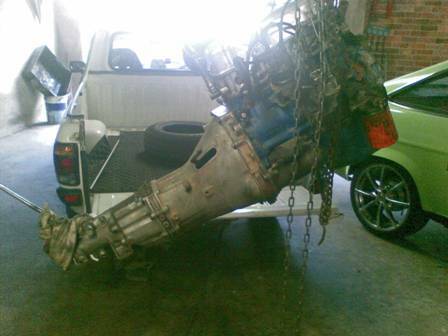 if swapping this HB210 engine into 1200, swap the pan and pickup tube with the newer B310 A14 pan and pickup tube. B310 fits all A-series engines from 1974 on. 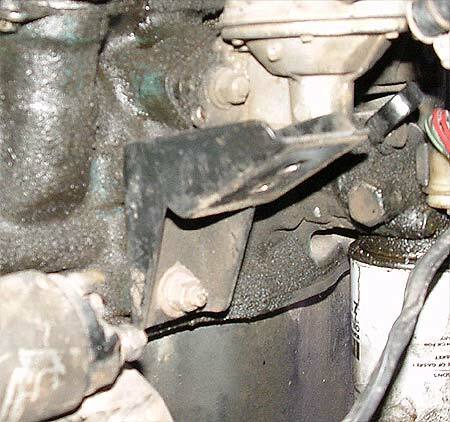 There is no bolt-in crossmember for the early A-series engine. But isn't the A15 stroke too long to rev high? Aren't the rods too short in the A14? 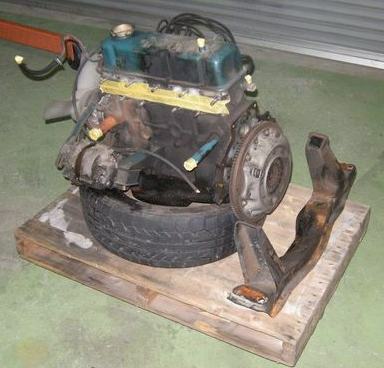 For answers, see: Engine Swaps, section "A-series Nissan Engines"